The problem with APIs is that you often don’t grasp their entire utility until you write those first lines of code. And it takes something really compelling to get developers motivated enough to write those first lines. This is particularly true of our Products API. It’s difficult to understand the depth of our data and the full capabilities of our API without live examples. So we’ve built a new tool, which we call the “API Playground”, to help users explore our API at the click of a few buttons. The API Playground is a simple interface that can quickly demonstrate the kind of queries you can make with our API. 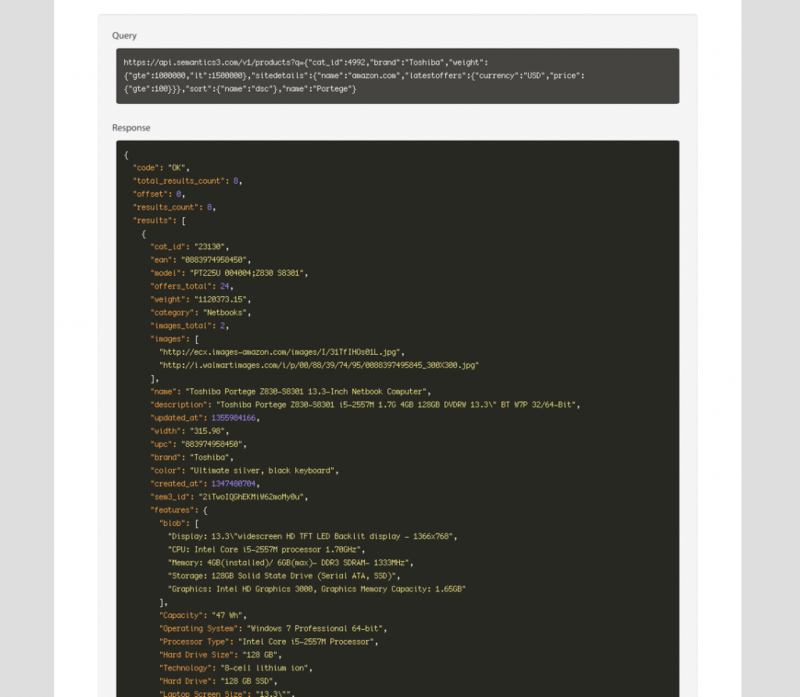 It’s a full fledged console – anything you type in the box will be directly forwarded to the API. You can even play with our newly launched offers API through this console (more on this in a later post). Developers we have been working with (and even the engineers in our team!) use this to quickly test drive their queries before plugging it into their applications. We’ve preloaded the Playground with some sample queries that will help you frame your queries better – category lookup, name lookup, sorting, pagination. We hope this will help you get up to speed with our API faster and start building cool applications with it! 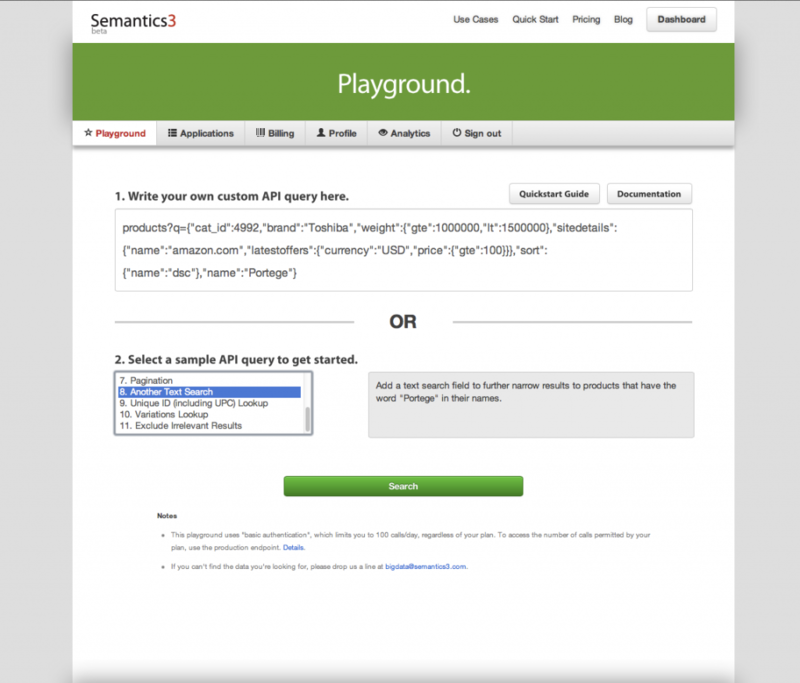 Head over to http://www.semantics3.com/dashboard/playground to test it out. Don’t have an account with us? Click here to sign up.